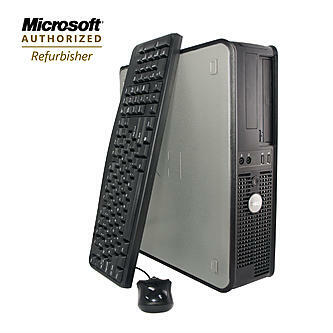 Computer Services offers some of the best used & Refurbished Desktop PC's , as well as the occasional Customer consignment systems. These systems will usually meet most users needs. One of our attendants will be glade to assist you in the correct choice for your computing needs. Our Refurbished systems are most often much better built systems than you find on your department store shelves these days & at only $99.95 & Up for the better models, you can't beet these deals. All Computer Services Systems are Internet Ready wiped clean, & completely reconfigured, and come complete with Avast Anti-Virus & Open Office Suite & More. ALL Internet Ready! - As low as $99.95 ! All Computer Services Systems have been checked by our technicians, configured with fresh Windows (usually either Vista, XP or 7 ), Critical OS updates, Office Suite, FREE Avast Anti-Virus installed and other apps you'll need, All systems are are internet ready, ALL That as low as $99.95 (usually in stock, but depending on availability). Internet Ready! - As low as $239.95 ! Computer Services always usually has this DELL Optiplex model as it Performed well for most regular users and priced right. These systems perform well for regular users, are efficiently priced, Very durable. All Come Newly configured with Windows 7, & include Keyboard, Mouse, Critical OS updates, Office Suite, FREE Avast Anti-Virus installed and other apps you'll need, All systems are are internet ready, from only $239.95 (usually in stock, but depending on availability). Internet Ready! - As low as $279.95 ! 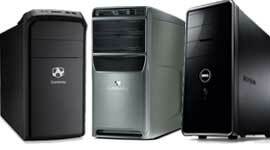 Computer Services always usually has this DELL Optiplex 755 model as it Performs well for most users, It is efficiently priced, and is proven very durable. 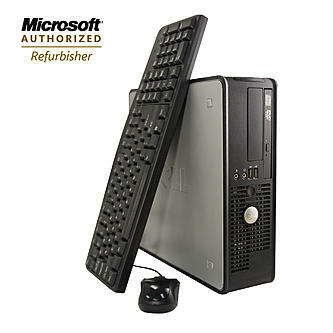 These all come configured with fresh Windows 7, Keyboard, Mouse, Critical OS updates, Office Suite, FREE Avast Anti-Virus installed and other apps you'll need, All systems are are internet ready, from only $239.95 (usually in stock, but depending on availability). New 22" LED wide screen monitor...$169.95. We have a wide selection of cables & accessories, please call, email us, or come by that store for additional pricing and availability.